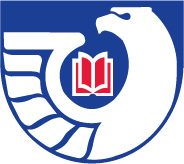 See Depository Library Information for details about the Federal Depository Library Program and our place in it. Federal and State documents at the OSU Valley Library can be found in a variety of places. Records for all of them are included in 1Search searches. For documents in physical formats, it is essential to note both call number and location from the record. The most recent documents are often online only, and can be located with a search in 1Search; links to these documents are found in the record. Many of our tangible (physical) documents are given a classification number in the Library of Congress (LC) system and located in the regular book stacks with our other items, or the LC section of the microfiche cabinets. Others are classified in Superintendent of Documents (SuDoc) classification (or OrDocs in the case of Oregon documents) and are found in the 3rd floor document collections on shelves, in CD/DVD cabinets, or in microfiche cabinets. What is a SuDoc number? Federal documents not classified by Valley Library in the standard Library of Congress (LC) classification system are classified in SuDoc. This is a system that arranges publications by the agency that produced them, NOT by subject like LC. At the Valley Library, these are all located on the 3rd floor. GOVINFO is the primary public access to Government information submitted by Congress and Federal agencies. Featured collections include the Code of Federal Regulations; United States Code; Federal Register; Congressional Bills, Documents, Hearings and Reports; Congressional Record; Compilation of Presidential Documents; Economic Indicators; Public and Private Laws. Access to online documents and for finding location of others (in paper, microfiche, CD/DVD, or map; and at OSU Libraries or our Summit partner libraries) can be obtained through the library search box, 1Search. SuDoc and OrDoc numbers can be searched as keywords. A digitization of a standard historical reference work. Lists Agency and Congressional documents, including Serial Set. The official source for federal legislative information. It replaces the nearly 20-year-old THOMAS.gov site with a system that includes platform mobility, comprehensive information retrieval and user-friendly presentation. Provides permanent public access to the Web sites and publications of defunct U.S. government agencies and commissions. Very useful when presidential administrations change. A partnership between the University of North Texas Libraries and GPO. Contains records of publicly accessible collections that include significant numbers of digitized copies of U.S. Government publications. OSU contributed the U.S. Forest Service Research Legacy. From UC San Diego, the most thorough site for locating government acronyms. The site not only lists the acronyms of hundreds of government departments, agencies and programs, it also links to their websites. Official handbook of the Federal Government. Provides comprehensive information on the agencies of the legislative, judicial, and executive branches, as well as quasi-official agencies, boards, commissions, and committees. This page contains copies of the Manual since 1995 in XML or PDF format. Searchable online version of the above. Government documents can be confusing to cite in text or bibliographies, as there are some differences between them and other sources. The number and kinds of authors (personal authors, agencies, or both) can make things complicated; so can the format of the document—PDF articles, websites, databases, microfiche, and paper publications have subtly different requirements. Other than standard reports, there are special formats such as Census, Serial Set, Hearings, and Congressional Bills, with unique aspects. 1. If a personal author is named, they should be given credit; often there isn’t any author named and the agency is treated as the author. 2. If the issuing agency is also the publisher, you may eliminate the publisher name in the entry. 3. Internet-original publications may not have “publisher” information and you can substitute the URL in its place (usually a good idea to include the access date also). 4. Abbreviate United States to U.S. in the agency name. 5. Include the report number and/or SuDoc classification number if there is one. These can be very helpful for readers looking for the document. The style guide for whatever style you’re using (APA, MLA, Chicago, etc.) ought to have some guidance for citing government documents. There is also a book, The Complete Guide to Citing Government Information Resources (3rd ed. ), call number J9.5 .G37 2002.